Over The Door Hook - Carmichael Inc. 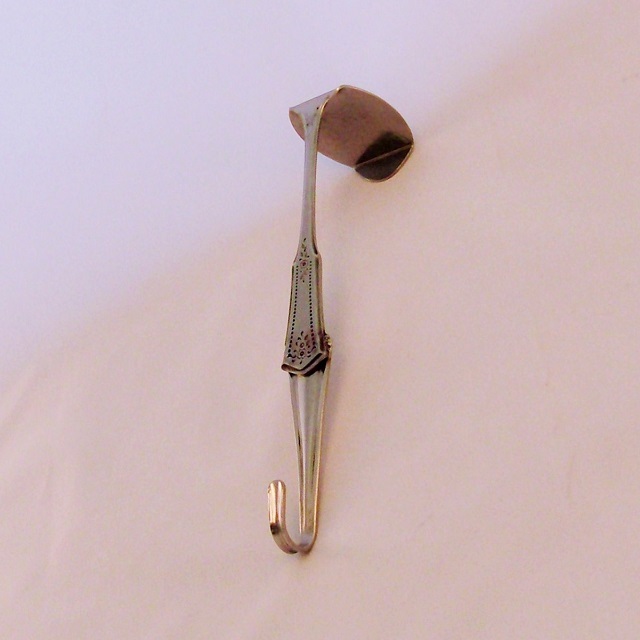 Ideal for hanging anything from a holiday wreath to a coat or bathrobe, these over the door hooks are roughly 8 inches long and hand made from vintage flatware. The pieces are formed by hand then TIG welded together. 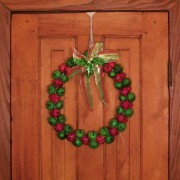 The “Small” size will fit good on most residential interior doors (bathroom, bedroom, etc) that are 1-1/2 inches thick. 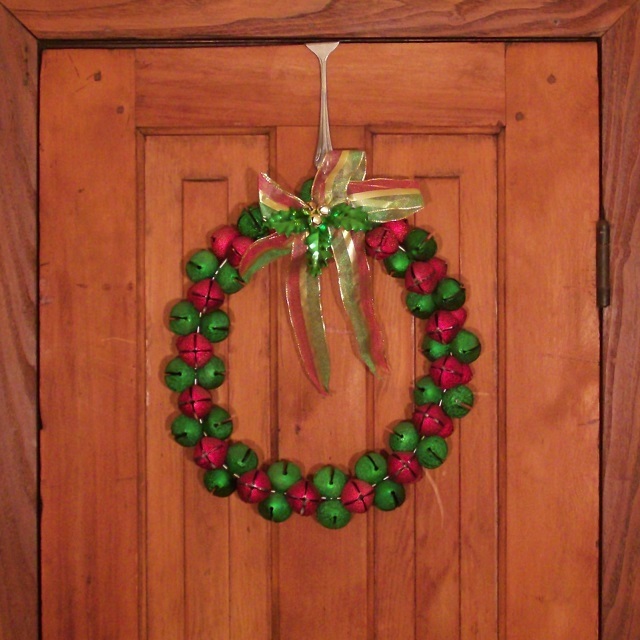 The “Large” size will fit good on most residential exterior doors and heavy duty commercial doors that are 1-3/4 inches thick. 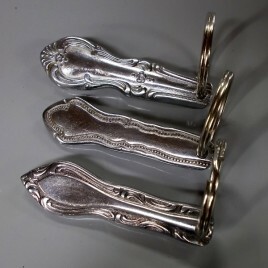 Please note that many different flatware patterns are used for this product and as such, no two hooks will be exactly the same, and that the pictures of this product are not intended to indicate the exact pattern you’ll receive. Please choose a size before adding this item to your cart. — Thanks ! 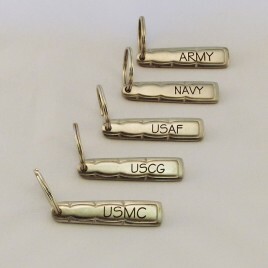 Honor your favorite active-duty service member or veteran with an etch-engraved stainless steel key ring marked with their branch of the US military. 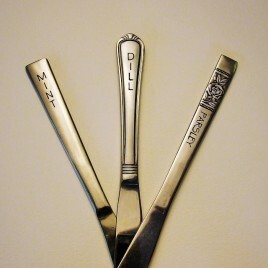 These key rings are hand made from vintage flatware. The handle is cut off to roughly 3" and a hole is drilled for the split ring. A split ring (as shown) is provided with each one. Stainless steel won’t rust or corrode. Electro-Chemical etch won’t wear off or fade. 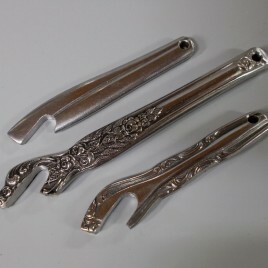 Made by Carmichael This item is sold individually (Order Qty 1 = 1 Key Ring) Items "in stock" are usually shipped within 2 business days of your purchase. Please choose marking before adding this item to your cart. -- Thanks !